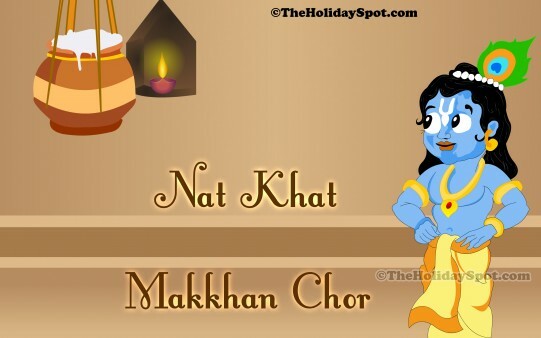 Homepage » Janmashtami » Nat Khat Makkhan Chor ! Name: Nat Khat Makkhan Chor ! Description: A high resolution desktop illustration of Lord Krishna stealing butter.